Pakistan is the third largest milk-manufacturing country in the world, with 38 billion liters on an annual basis, according to Retail Detail of Europe. FrieslandCampina wants to take advantage of the shift to packaged dairy products in Pakistan: not even 10 % of milk consumption comes from processed and packaged milk in Pakistan, but FrieslandCampina expects that to change in the near future. To tap into the Pakistani market, FrieslandCampina is buying 51% of Engro Foods at an estimated price of $448 million, a securities filing said on Monday. Topline Securities said Engro Corporation will generate cash of around Rs. 47 billion, part of which will most likely be invested in energy-related projects with a higher rate of return, according to a report in Pakistan's Express Tribune newspaper. Pakistan's $3 billion home appliance market is experiencing double digit annual growth. It has attracted the attention of China's Haier, a multinational giant that recently acquired American General Electric's home appliance business. 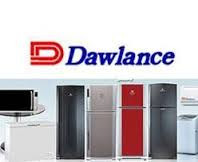 Pakistan's privately-held Dawlance is also a major player in Pakistan's home appliance market. It is Pakistan's leading refrigerator and microwave brand, No. 2 air conditioners and No. 3 in the laundry category. In 2015, it reported $221 million in revenue and $45 million in EBITDA (earnings before interest, taxes, depreciation and amortization), according to Nikkei Asian Review. “Pakistan is the sixth most populous country in the world with a population of 200 million people. In particular its young population and increasingly growing economy make it an enticing prospect as a market in the region. With the acquisition of Dawlance in Pakistan, Arçelik will employ a total workforce of 30,000 worldwide and will have a global production base of 18 manufacturing facilities including Turkey, Romania, Russia, China, South Africa and Thailand. Our acquisition is also a powerful example of south-south cooperation, representing a technology and know-how transfer between developing countries,” said Fatih Ebiçlioğlu, the head of the Consumer Durables Group of Koç Holding that controls Arcelik, according to Turkey's Hurriyet Daily News. Smart money is starting to flow into Pakistan again as the world recognizes the country's tremendous economic potential as a growing emerging market. Investors and businesses are looking to profit from expanding Pakistani economy backed by growing middle class consumption and rising Chinese investments in energy and infrastructure. Companies being bought by foreign companies is nothing to celebrate. You think Indians will celebrate if Infosys etc are bought by IBM ? Remember during the Satyam scandal they made it clear that it would merge with other Indian IT companies(in the event Tech Mahindra) IBM,Accenture,Atos etc were explicitly told to look elsewhere. Anon: "Companies being bought by foreign companies is nothing to celebrate." So why is India now allowing 100% FDI in all sectors of the economy? "Of particular interest to foreign investors would be defense, civil aviation and pharmaceutical sectors, all of which now allow 100 percent foreign investment. Before now, FDI in the defense sector was capped at 49 percent; now, 100 percent FDI will be allowed by the government on a case-specific basis, when “it is likely to result in access to modern and ‘state-of-art’ technology in the country.” The policy is also applicable to the manufacturing of small arms and ammunitions, which was earlier outside the purview of the policy." Anon: " Remember during the Satyam scandal they made it clear that it would merge with other Indian IT companies(in the event Tech Mahindra) IBM,Accenture,Atos etc were explicitly told to look elsewhere." Do you think foreign companies see much value in body shop businesses like Infosys relying on human trafficking of code coolies with H1B visas? They can directly hire as many code coolies as they want without buying Indian body shops. Good news for Pakistan that more foreign companies are investing in Pakistan by buying local companies. The multi-nationals will bring much needed expertise and marketing know how. If Pakistan would just liberalize the economy and reduce regulatory and legal hurdles, foreign investment will flood in. With 200 million people, and sitting astride a key geo-strategic area, Pakistan cannot be ignored. Allegations of government malfeasance in Pakistan are unlikely to shorten the tenure of Prime Minister Muhammad Nawaz Sharif, according to Eurasia Group. Despite corruption charges that surfaced in the Panama Papers, with support from the opposition in Pakistan, the small Global X Pakistan Exchange-traded fund (PAK) is up about 15% this year, reflecting MSCI’s recent announcement that it will add the country to the MSCI Emerging Market index. The fund was down 1% in recent trading, while the iShares MSCI Emerging Markets ETF (EEM) was down 2% and the iShares MSCI Frontier 100 ETF (FM) was down 1.3%. The contest to replace him will be complicated by corruption allegations against many main contenders within the PML-N, sparking worsening political instability after the election … Sharif’s … approval rating has experienced a non-negligible drop from 75% in October 2015 to 54% in June 2016, the only poll conducted after the leaks. However, Sharif’s political standing is grounded on the PML-N’s strength in parliament, the tacit support of the Army, and the $46 billion China Pakistan Economic Corridor – a set of infrastructure projects critical to Pakistan’s future economic performance—negotiated by Sharif and his PML-N. The PML-N remains the largest party in the lower house, and would not pass a motion of no-confidence in the PM, and it retains control of its Punjab heartland, the most populous area of Pakistan. There are a number of stories on Pakistan opposition leader Syed Khursheed Shah in Pakistan Today. Also see our posts How Do you Define “Emerging”? Pakistan Counts The Ways, MSCI Jazzed On Argentina & Pakistan, Not Nigeria Or China and How Panama Papers Could Play Out In EM. The International Monetary Fund (IMF) on Tuesday increased to 5 percent its forecast for Pakistan's growth in the fiscal year to June 2017, from a previous estimate of 4.7 percent, citing China's plans to invest in road and energy infrastructure. In September, Pakistan will end a three-year $6.7-billion financial assistance programme from the IMF, after the economy recovered from a series of financial crises, with growth at an eight-year high and increased foreign exchange reserves. Fund officials say Pakistan has met all performance criteria for the assistance programme but urged Islamabad to keep tackling structural reforms to further increase growth and make it more inclusive. "Growth is expected to strengthen to 5 percent in FY 2016/17, supported in part by an expected pick-up of investment related to the China Pakistan Economic Corridor (CPEC)," the fund said in a report. The $46-billion CPEC project will focus on road building and energy infrastructure to end chronic power shortages in Pakistan. A highway is expected to link Western China with the port of Gwadar port on the Arabian Sea. Fund officials say Pakistan's economy is likely to have grown 4.7 percent in the fiscal year to June 2016, a touch higher than their May estimate of 4.5 percent. "Inflation is expected to remain contained at 5.2 percent in FY 2016/17, well-anchored by prudent monetary policy," the IMF added. The IMF said Pakistan had also sought a four-week extension to the loan programme from Sept 3 to Sept 30 to "allow sufficient time to conduct discussions for the final review". It added Pakistan was in strong position to repay the IMF. "Pakistan’s financing needs are fully covered for the remainder of the program and the country’s capacity to repay the Fund remains strong owing to supportive macroeconomic policies, resilient remittances inflows, and increasing foreign exchange reserves," the IMF said. Qasim: "$260 million is like a gift or does it need to payback like a loan in 5 years?? Also same for the 46 billion some say no karz some say high interest. It is like nobody knows"
1. Grants like the $260 million for Gwadar International Airport. 2. Concessionary loans to Pakistani government from China-led Asian Infrastructure Investment Bank along with Asian Development Bank and World Bank. 3. Chinese ExIm (Export-Import) Bank loans to Chinese contractors who will do energy projects on Build-Operate-Transfer (BOT) basis. $260 million for the airport is high. Similar airports in terms of cargo and passenger traffic costs lot less. Cochin and Hyderabad airports & infrastructure related costs were around 50 million each! Jay: "$260 million for the airport is high. Similar airports in terms of cargo and passenger traffic costs lot less. Cochin and Hyderabad airports & infrastructure related costs were around 50 million each! " Not all airpots are alike. Cost depends on a number of factors: Number and length of runways, passenger terminals, cargo terminals, passenger traffic, cargo volume, etc etc. China and Pakistan see Gwadar as Hong Kong West as trade hub in size and scope. Sir, you are right about all airports are different. The HK comparison is understood but the land acquisition, cost analysis, foundation specs are not at the same level as HK - HK being a dense metro. Jay: "The HK comparison is understood but the land acquisition, cost analysis, foundation specs are not at the same level as HK - HK being a dense metro." Gwadar Airport is only $260 million, not several billion dollars as some of the biggest airport projects in China. A renowned textile company has made forays into the dairy business and intends to introduce a new milk brand next year in a bid to grab a slice of the pie in the growing but still underdeveloped sector. “Interloop Limited, one of the world’s largest socks manufacturer, has poured Rs2 billion into the dairy business and set up a new company named Interloop Dairies Limited. It is going to launch its milk brand next year,” said Navid Fazil, Chief Executive Officer of Interloop Dairies, in an interview with The Express Tribune. This is happening at a time when Dutch dairy company FrieslandCampina signed an agreement with Engro Corporation for the acquisition of 51% stake in the latter’s subsidiary Engro Foods for $448 million. Pakistan is said to be the fourth largest milk producer in the world, but only 10% of the milk produced is sold in packages. The packaged milk market is dominated by a couple of players. One of the issue for a retail US investor is how to invest in this Market. Outside of PAK ETF which is very very small not much is available. Maybe you can educate us how? Jawaid: "One of the issue for a retail US investor is how to invest in this Market. Outside of PAK ETF which is very very small not much is available. Maybe you can educate us how?" PAK ETF is pure play. Other index and mutual funds have various weights in Pakistani stocks. Emerging market funds took a big hit due to the failed coup in Turkey. Pakistan’s K-Electric Ltd. rose to the highest in more than a year and a half after Shanghai Electric Power Co. said it plans to buy a controlling stake in the power utility valued at $1.6 billion. China’s state-backed Shanghai Electric Power intends to acquire as much as 18.3 billion shares, representing 66% of K-Electric, according to a notice sent by offer manager Arif Habib Ltd. to the Pakistan Stock Exchange. K-Electric shares rose 1.3 percent to 9.21 rupees after the announcement, the highest since January 2015. Arif Habib rose by the 5 percent limit, the most in a month. The Chinese company said last week it’s doing preliminary preparation work on acquiring a stake in K-Electric, which serves about 2.2 million customers and employs 11,000 people in Karachi, Pakistan’s coastal commercial capital. Shanghai is vying with Chinese clean-energy group Golden Concord Holdings Ltd., French utility Engie SA and at least one investment fund, people with knowledge of the matter said earlier this month. Bidders were asked to submit binding offers by the end of this month for Abraaj Group’s 66 percent holding in the Pakistani company, according to the people, who asked not to be identified as the information is private. Pakistan’s government owns another 24 percent stake in K-Electric, according to Bloomberg-compiled data. Acquiring control of K-Electric would be Shanghai Electric Power’s biggest overseas purchase, surpassing its 2014 deal to buy a $399 million stake in Maltese utility Enemalta Plc, according to data compiled by Bloomberg. Abraaj invested $361 million for 50% KESC (renamed K-Electric) stake in 2008. Shanghai is now buying 66% stake for $1.6 billion. Atilla Yerlikaya, the president of Turkey-Pakistan Business Council of External Economic Relations Committee, emphasized Pakistan's economic potential for Turkey, showing a brief glance into the country's economic opportunities. According to Yerlikaya, during Erdogan's last visit to Pakistan, Erdogan and Pakistani PM Nawaz Sharif came together with businessmen from both countries and called for a closer cooperation to increase bilateral trade volume and investments to a great degree. Highlighting Pakistan's great potential for business, he said, ''Within the context of the Project of China-Pakistan Economic Corridor, Pakistan's energy and logistic infrastructures will be renewed. Considering Pakistan's $270-billon national income, one can easily grasp how a $50-billion investment makes sense. These investments will unlock agricultural and industrial sectors of the country for Turkey." Abraaj Group is to acquire a majority stake in a clean energy company in Pakistan, its second investment in the country this year. The Dubai company is acquiring the stake in Jhimpir Power from Burj Capital. It is developing a 50 megawatt wind power project in Sindh, south-east Pakistan, which is expected to be completed early next year. The area, known as the Jhimpir wind corridor, is about 120 kilometres east of Karachi. It already has more than 550MW of wind farms in operation and more than 1 gigawatt is under construction or planned. Pakistan has been working on establishing investor-friendly policies to attract investment into the renewables sector. The country is targeting a 6 per cent mix of renewables in its total power mix by 2030. While this may seem small compared with the UAE’s goals of clean energy sources making up 30 per cent of energy generated by 2030, Pakistan needs far more infrastructure expansion before capacity can be added. "With a shortage of over 6,000MW and rising power consumption in Pakistan today, we are excited by the sheer size of the clean energy infrastructure opportunity, enabling government policies and the potential of the Jhimpir wind corridor," said Sev Vettivetpillai, the managing partner and head of the Abraaj thematic fund. This is not Abraaj’s first foray into the country’s energy sector. The investment firm sold its stake in power utility K-Electric for US$1.7 billion in October, representing one of the largest private transactions in Pakistan. "Having invested across the energy value chain in growth markets, including the power sector in Pakistan, we look forward to growing our renewable footprint and consolidating our presence in the sector," Mr Vettivetpillai said. The Dubai company has invested across the energy value chain to the tune of $1bn in 10 investments in growth markets. Saad Zaman, an Abraaj partner, said that this was just continuing on the success of the company’s first wind project in Pakistan. "The attractive renewable power policy framework implemented by the government has created a strong impetus for the private sector to invest in clean energy," he said. Abraaj said this month that it had acquired a stake in Islamabad Diagnostics Centre. Pakistan’s growing Gross Domestic Product is becoming an attraction for Turkish companies as they scout for investments in the country, said Foreign Economic Relations Board of Turkey General Secretary Mustafa Mente. “The potential of Pak-Turk relations is much more than what the bilateral trade volume suggests,” Mente told The Express Tribune. Pakistan is among the first three countries when it comes to initial visits for any elected government of Turkey, he said. “The good news is that many Turkish companies now have their presence in Pakistan and the country’s rising GDP is fast becoming an attraction for them to look for more business avenues,” he added. Mente said the entire South Asian region, which includes Pakistan, India and Bangladesh is unique due to its huge population, almost 1.7 billion, and would be a choice for Turkish companies to invest. But he said distance and cost of travelling will remain issues. Pakistan and Turkey are also in negotiation to finalise a Free Trade Agreement to boost bilateral trade. As per the Pakistan Business Council, the current level of bilateral trade between the two countries is $584 million, which has potential to go up to $5 billion. Currently, Pakistan’s exports to Turkey stand at $391 million, whereas Turkey’s exports amount to $193 million. In recent years, few Turkish companies have invested directly in Pakistan, particularly in Punjab, but that is more due to the government’s urge to replicate some Turkish models in the provincial capital. The prime example is of Albayrak that is currently providing its services in transportation and waste management sectors. Some private groups have also invested directly in the electronic goods segment primarily to cover the region due to the upcoming China-Pakistan Economic Corridor, which will connect the region via rail and road links. Mente said that currently negotiations are under way for Foreign Direct Investments in textile sector particularly in fabrics and yarn; however, some technical issues remain unresolved. “Both sides are interested in investing in the textile sector but we have to find common ground,” he said, adding that he was hopeful that the level of Turkish investments in Pakistan as well as Pakistani investments in Turkey will rise across all sectors including health and tourism. exchange earnings for the country. in Pakistan comes from cattle and buffalo. Singer Pakistan Limited on Monday announced to acquire home appliance manufacturers Cool Industries and Link Well in shares swap arrangements. “Cool Industries (Private) Limited (CIL) will be merged with and into Singer, against which 93.975 million shares will be issued to the shareholders of CIL based on a swap ratio of approximately 1.79 shares of Singer for every one share of Cool Industries (Private) Limited,” a bourse filing said. Moreover, Link Well (Private) Limited (LWL), famous for brand name Waves, will be merged with and into Singer against which 2.475 million shares will be issued to the shareholders of LWL based on a swap ratio of approximately 0.33 shares of Singer for every one share of Link Well (Private) Limited. Link Well provides products and services for gas appliances and home appliances. Singer Pakistan Limited will be renamed into Waves Singer Pakistan Limited as a result of merger. Haroon Khan, chief executive officer at Singer Pakistan said the business environment remained challenging in the consumer appliances sector due to severe competition and entry of new retailers with rise in consumer financing. “However, the management remains committed to continue adding value to the business by continually investing, innovating and improving operations,” Khan said in the company’s January-June financial report. But, the market did not positively react to the development as Singer shed three percent to close at Rs39.40/share. Singer Pakistan also announced to demerge its retail business into its wholly-owned subsidiary, Electronics Marketing Company (Private) Limited, which will issue 24.8 million shares in favour of Singer. “The scheme of arrangement is subject to obtaining all necessary shareholders’, creditors’ and regulatory approvals, and the sanction of the scheme by the High Court of Sindh along with fulfillment of related legal formalities,” the notice to Pakistan Stock Exchange said. Last year, Singer Pakistan’s Amsterdam-based parent also offloaded its holding in the local operation. The company said the divestment was a policy decision of Singer Asia Limited, indicating its departure was not Pakistan-specific. and to simultaneously enter into a lease agreement with the prospective purchaser of the property for the continuation of uninterrupted use of the required area for business and manufacturing activities of the company. “Proceeds are expected to be substantially used for the settlement and the reduction of the company’s borrowings enabling the company to reduce its borrowing cost,” the company said in the earnings report. 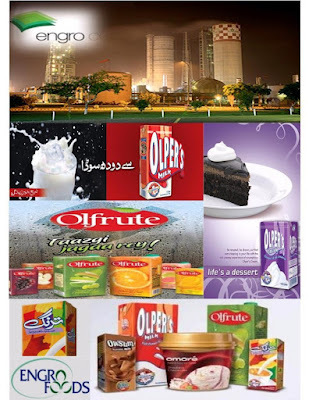 A China-based dairy firm has expressed its intention to acquire a majority stake with management control in Fauji Foods Limited (FFL), known for its Nurpur brand, according to a notice sent on Tuesday to the Pakistan Stock Exchange (PSX). The potential acquirer, Inner Mongolia Yili Industrial Group Company Limited, will hold talks to acquire 51% voting share in FFL from its parent firm, Fauji Fertilizer Bin Qasim Limited (FFBL), and other shareholders. The announcement was taken as a positive by investors as FFL’s share price gained by the maximum limit of 5%, increasing Rs1.72 to Rs36.12 with 345,000 shares changing hands on a day the KSE-100 Index witnessed profit-taking and plunged 1.94%. FFBL’s share price also hit the upper price limit, closing at Rs39.55 with a volume of 259,000 shares. 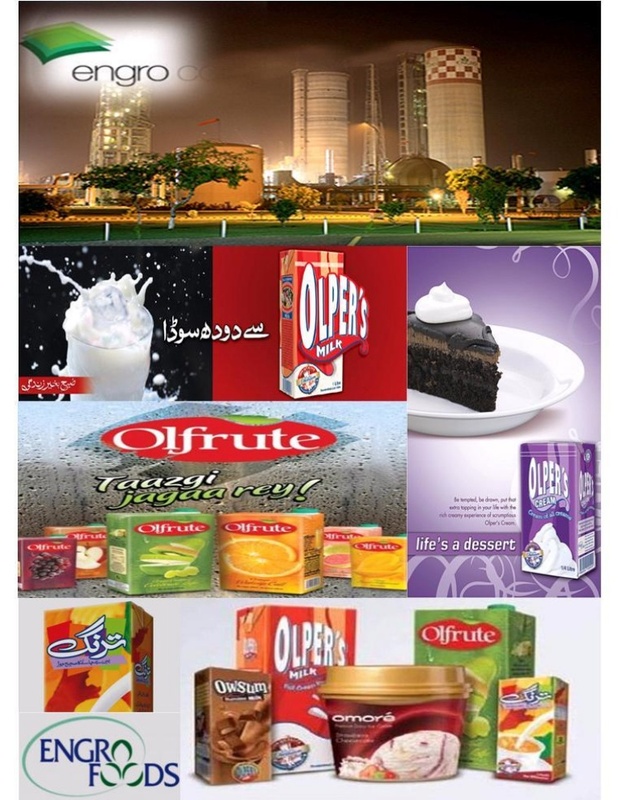 “We have received a notice of public announcement of intention from a potential acquirer, Inner Mongolia Yili Industrial Group Company Limited, whereby the potential acquirer has expressed its intention to enter into negotiations or discussions with Fauji Fertilizer Bin Qasim Limited (FFBL) for the proposed acquisition of upto 51% of the voting shares and/or control in Fauji Foods Limited, from FFBL and other shareholders,” FFL company secretary Brig, Zahid Nawaz Mann was quoted as saying in the PSX notice. Inner Mongolia Yili Industrial Group Co. Ltd. is a China-based company, principally engaged in the processing, production and distribution of dairy products and mixed feedstuffs, according to Reuters. Subject to execution and approval of the deal by regulators, this would be the second transaction involving foreign direct investment (FDI) in the current month. Around a week ago, Dutch company, Vopak LNG Holding B.V., executed an agreement with Engro Corporation to acquire 29% stake in Elengy Terminal Pakistan Limited (ETPL) at a price of $38 million. The country received a total of $2.76 billion in FDI in the previous fiscal year 2018. The transaction, subject to approval, will also be the second major acquisition in Pakistan’s formal food sector by a foreign firm. Earlier, another Dutch firm, FrieslandCampina Pakistan B.V. (FC Pakistan), acquired 51% stake in Engro Foods at a price of $446.81 million in December 2016.